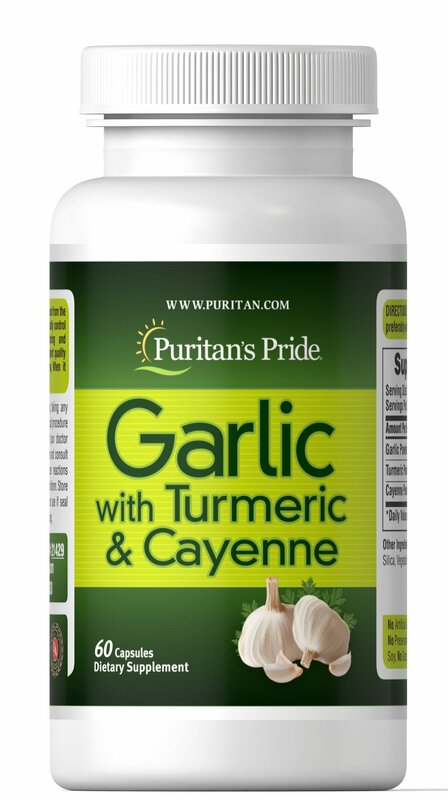 Puritan’s Pride brings you our formula of Garlic, Turmeric, and Cayenne. Garlic, an aromatic vegetable that’s used in some of your favorite dishes, isn’t just for flavor—it’s good for you too. Garlic’s history traces back to A.D. 510 in ancient China, where it has since become an important element of traditional Chinese health practices. 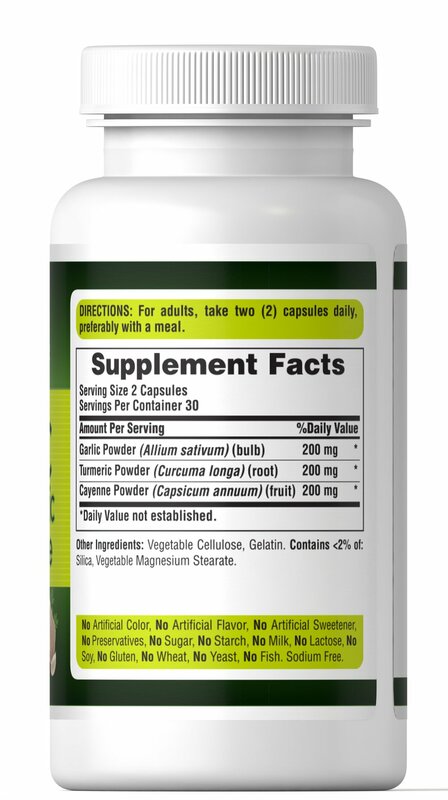 When raw garlic is crushed, an enzyme (allinase) acts on an amino acid (alliin) to produce the compound allicin. 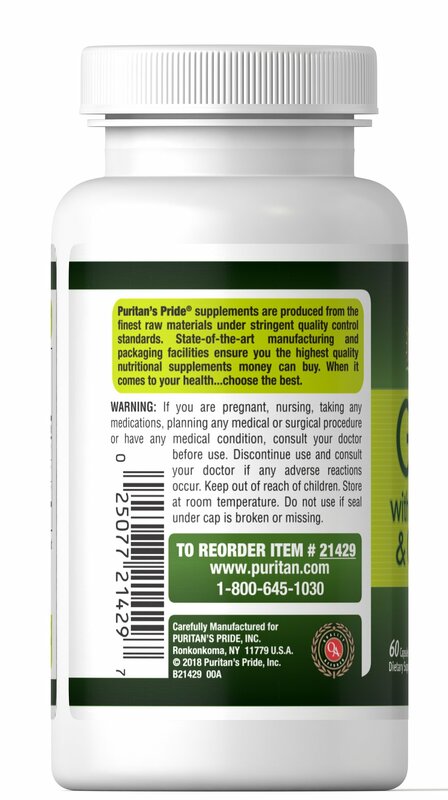 This formulation contains two other great natural ingredients: Turmeric and Cayenne. Part of the ginger family, Turmeric has a long history of use in India. 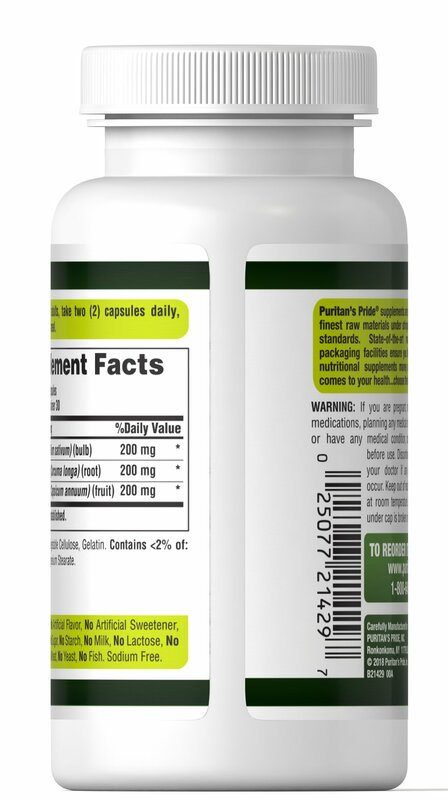 Turmeric naturally contains curcumin which is a carotenoid pigment found in the rhizome of Turmeric and has long been used for its healthy properties. Cayenne is a common ingredient found in your kitchen that has been traditionally used to add some extra heat to your dishes but also includes wellness properties that can be beneficial to overall health.